Stressed-out students were given a pet project to help relieve the pressure of exams - and help raise money for charity at the same time. For a donation of £3.50, the MMU Sport event allows students to spend 15 minutes petting guide dogs as part of a scheme called Discover Guide Dogs. The initiative, which took place just after reading week, raised £490 for the Guide Dogs for the Blind Association and was aimed at helping students comfortably slip back into university life, which is especially helpful for anyone missing their furry friends back home. Event organiser and MMU active lifestyle officer, Abi Dean, said: “Studies have shown that spending time with animals can reduce stress and anxiety levels. With this in mind, we thought what better way to help students relax than partnering up with the Guide Dogs? 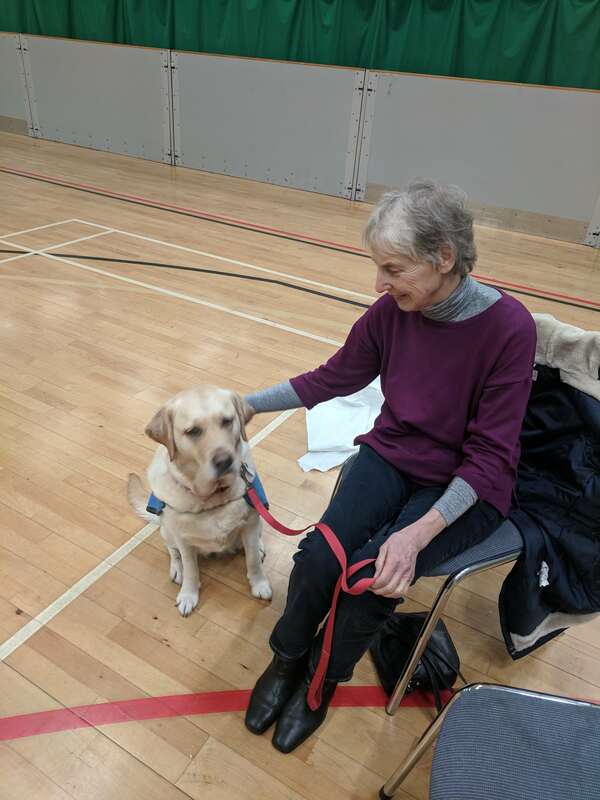 As well as helping out students, the event is a fantastic way to raise funds for the Guide Dogs UK charity, and also gives the dogs in attendance a well-earned break from assisting their owners. People volunteering for Guide Dogs UK walk with blind and partially-sighted people as part of the My Guides programme, this helps them build confidence and independence, whilst giving the dogs an important rest. When asked how cash-strapped students could potentially help out, Schvonne Cullen, from the Manchester branch of Guide Dogs UK said: "Other unis have set up guide dog societies, its a case of a few students getting toegther, maybe doing a couple of bake sales or general volunteering to help guide dogs. So the money doesn't neccessarily come out of their pocket but they raise awareness. But there are all sorts of other volunteering opportunities at the training centre such as My Guides." The next guide dog event takes place on 14 February.